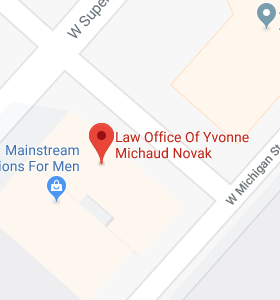 If you live in Cloquet, MN, The Law Office of Yvonne Michaud Novak is the law firm you should turn to for help with estate planning and elder law issues. Many Cloquet residents do not realize that it’s not just senior citizens who should be proactive in working with an elder law attorney. In fact, people of all ages including young families can benefit from planning for illness or injury, preparing for retirement, and making a plan to protect their wealth and control their legacy. Thinking ahead about something happening to you is never fun, and making difficult decisions about medical care you’d receive in an emergency or who’d raise your children if you couldn’t can be a hard process. The good news is, with help from a compassionate and knowledgeable attorney at The Law Office of Yvonne Michaud Novak, the process of making an estate plan, incapacity plan and other future plans becomes easier. We will work with you to make effective use of legal tools and to ensure that you’ve got the right plans in place for whatever the future holds. Cloquet, MN is a city with a population of just over 12,100 people as of he most recent census. Cloquet is home to a portion of the Fond du Lac Indian Reservation, and one of three administrative centers for this reservation is located in the Cloquet area. Cloquet is in Carlton County, and can be accessed by Minnesota State Highway 33 and Interstate 35. In Carlton County, where Cloquet is located, there are many different programs and services that seniors can take advantage of. To find out about some of the programs, you can visit the Carlton County, MN website. There, you’ll discover details on services including long-term care consultations; home-delivered meals; programs to help provide access to supplies and equipment; and even programs that facilitate home modifications so you can remain in your home as long as possible. Unfortunately, some services seniors may need are not free but are in fact very expensive – and may not be covered by insurance. For example, Medicare doesn’t cover routine nursing home care or long term care at home. It covers only skilled care, which isn’t what sends most seniors to a home or necessitates home caregivers provide aid. If you have no coverage and need care, you could spend your wealth quickly because the costs are so high. With help from The Law Office of Yvonne Michaud Novak, however, you can take steps to qualify for means-tested Medicaid, which covers long term care and nursing home care. Many older people who need Medicaid coverage can’t qualify because they’ve spent a lifetime building assets. The good news is, with the right asset protection plan aimed at affording nursing home care, you should be able to avoid impoverishing yourself and qualify for Medicaid when you need it. The Law Office of Yvonne Michaud Novak also helps clients with the creation of a plan to avoid probate, as well as with going to probate court. We represent you if you’re the executor of an estate who must oversee the probate process and care for the deceased person’s assets until they pass to new owners. Heirs or beneficiaries should also get help making sure probate goes smoothly, and The Law Office of Yvonne Michaud Novak helps potential heirs or beneficiaries to stay on top of what’s going on during probate. Finally, those looking to contest a will can also get legal help. Understanding how probate works is important to decide if you want to plan to avoid it, and so you can be prepared when you must go through probate court proceedings. You can find out information about the probate court by visiting the website of the Minnesota Judicial Branch, and in particular visiting the site pages dedicated to the Carlton County District Court. Cloquet elder law attorneys at The Law Office of Yvonne Michaud Novak help families of all ages with using tools such as trusts, living wills, powers of attorney, last wills and testaments and more. We will work with you to understand your goals and to carry out a plan to achieve them. You should call us now for help because you never know when something could happen and both you and your family will be better off with the right plans in place to secure your future.